The final day of testing didn’t spring many surprises. It was very much a repeat of day 7 with a little less drama as teams gathered as much data as possible before the trip down under in two weeks time. Raikkonen made up for lost time by completing 157 laps and won the day with a 1m17.221s on the hypersoft tyres. Ferrari have shown the quickest one lap pace but no one seems too impressed. The feeling is that Mercedes haven’t yet shown their hand and McLaren getting within half a second of Vettel’s benchmark at the end of today almost makes the lap less impressive. 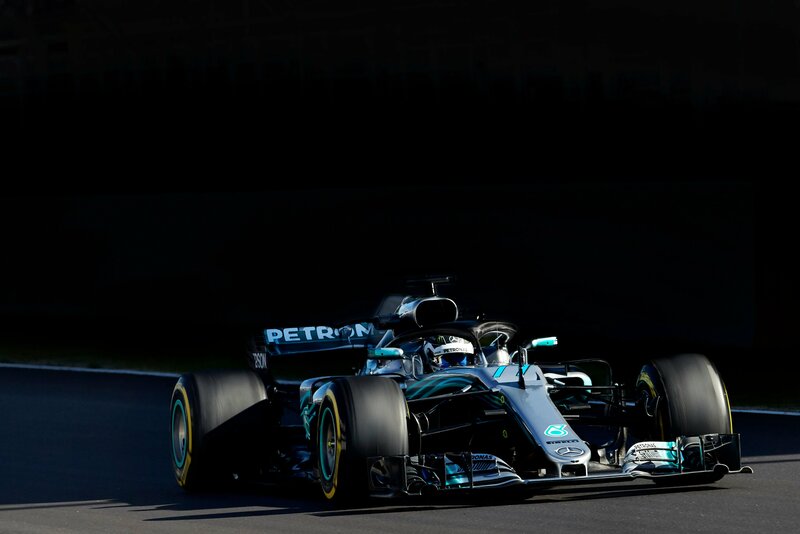 The Silver Arrows didn’t bring any of the hypersoft tyres to Barcelona and while Ferrari have been setting lap records Bottas and Hamilton were completing very impressive race simulations. Both drivers seem very happy with the car and after completing 201 laps between them today Mercedes broke the 1000 lap mark for testing. The ever reliable engine just keeps getting quicker without showing any signs of weakness. Ricciardo has also been positive about the 2018 Red Bull package albeit acknowledging that everyone is still behind Mercedes. Ending the day in fourth, Ricciardo completed 97 laps as the focus was again on long runs and race simulations. Only time will tell just how close the top three are but the one thing everyone can agree on is the Silver Arrows start the season deserved favourites. Just below the top three, Renault and McLaren continue to look very close as both teams completed flying laps at the end of the day. It was McLaren who came out on top when Alonso recorded the 4th fastest time of winter testing with a 1m17.784s. The day started badly as after 7 laps another oil leak and engine change meant a long spell in the garage. But Alonso still managed to get 93 laps on the board and those fast runs at the end of the day will give encouragement to the team going into Melbourne. Sainz also managed personal bests at the end of the day in what has been a positive week for the team. There has been gradual improvement over the two weeks and Renault will be quietly confident they can improve on the 6th place achieved in the 2017 constructors championship. The best of the rest is hard to decipher at this point but I would have to give it to Haas after displaying some good pace this week. It was Grosjean’s turn in the car today as he was the most productive driver with 191 laps. The Haas finished 5th fastest on the ultrasoft tyres. Brendon Hartley wasn’t far off in the Toro Rosso, another 156 laps without any issues and 7th on the timesheet. The Honda engine has defied all critics and the view of the team has been turned upside down since testing began. Sadly for Force India the same has happened in the opposite direction Esteban Ocon completed 163 laps but the team have fallen behind rivals. They are likely to bring a lot of updates for the first race in Melbourne so it all depends on how much impact they have. Williams are another team to have disappointed over the winter test, Lance Stroll has been rooted to the bottom of the timesheets on more than one occasion and the team face an uphill battle to improve on last year. Finally, Charles Leclerc in the Sauber showed some inexperience as he spun off and clipped the wall early in the day. The car seems to have inherited some of the diva attributes that haunted the Mercedes last year so it will be a steep learning curve for the young driver. All of the questions from the winter break remain unanswered. It has been a fun few weeks but we head to Melbourne with very little idea of the order of the grid. There are a few different groups forming but we will need to wait for the chequered flag in Melbourne to get a true representation of the season ahead.